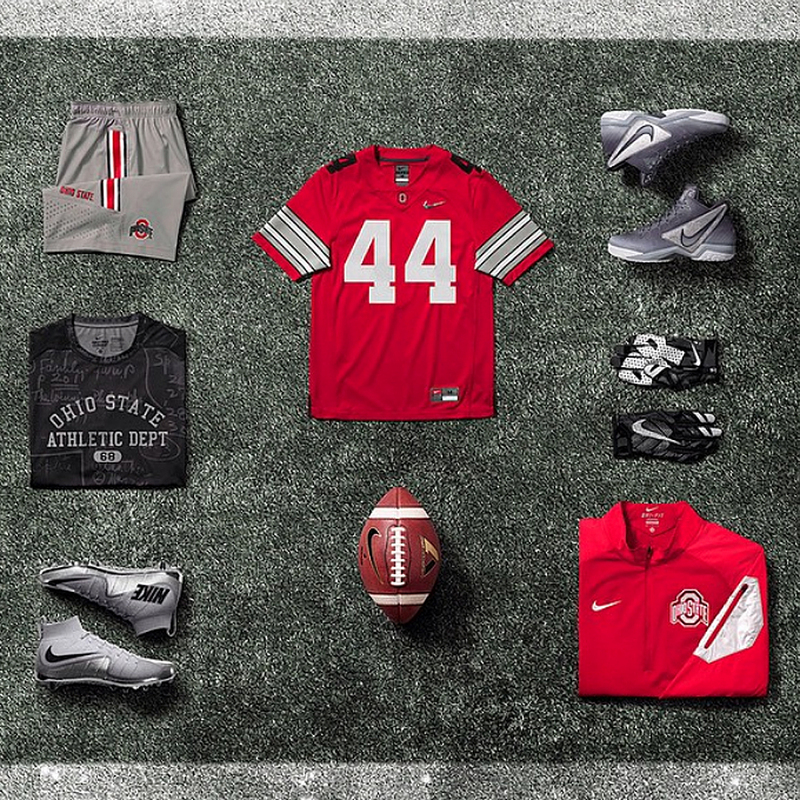 The 2015 inaugural College Football Playoff National Championship presented Nike with a unique messaging opportunity to authentically insert the brand into an electrically charged intersection of culture and sport. The football world had been begging for the playoff format for over 100 years so anticipation and interest in this game was unprecedented. All four playoff teams were Nike sponsored programs resulting in four distinct fan bases across different markets and cultures. While our high profile partnership with the NFL connected the brand to pro-football fans, our muse and primary target demo, the 17-year old "Modern Warrior" identified more closely with collegiate football. This perfect storm offered potential to scale engagement, increase brand awareness, inspire the modern warrior and own the moment. 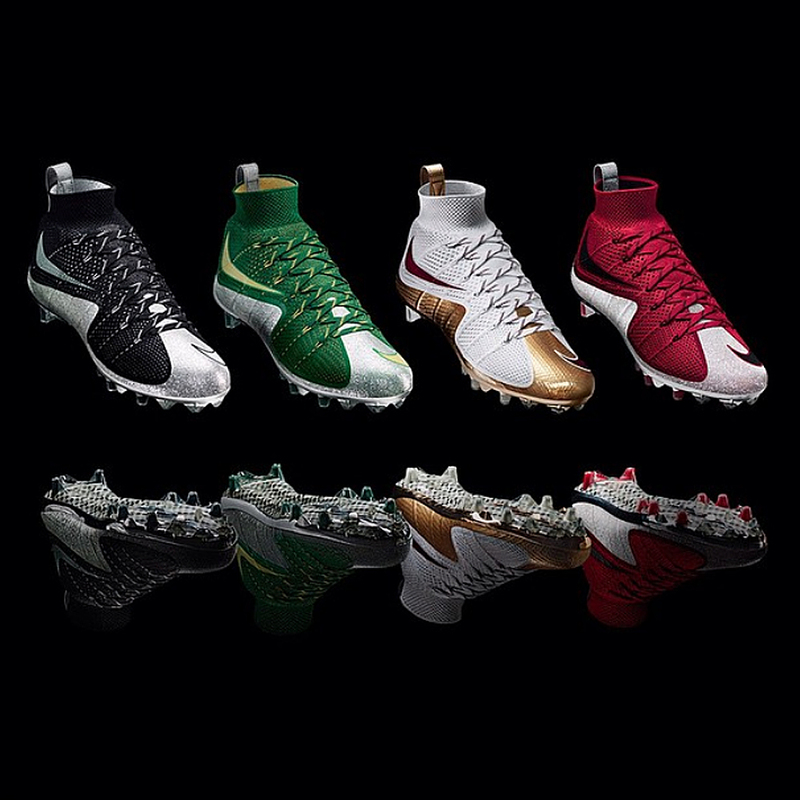 Takeaway: Nike Football is the definitive brand of the gridiron, both on and off the field. Just do it. Every great opportunity also has it's share of obstacles. The NCAA doesn’t allow the utilization of actual collegiate athletes in marketing. All collateral and content produced in collegiate sports is staged with models that look the part. Translation: you cannot build your campaign around a specific player or personalty. In a culture that elevates individuals, our message needed to elevate the team and inspire the fan. The second challenge was unless you're an official sponsor, you couldn't execute on-site activations anywhere within a large radius of the stadium (clean zone). 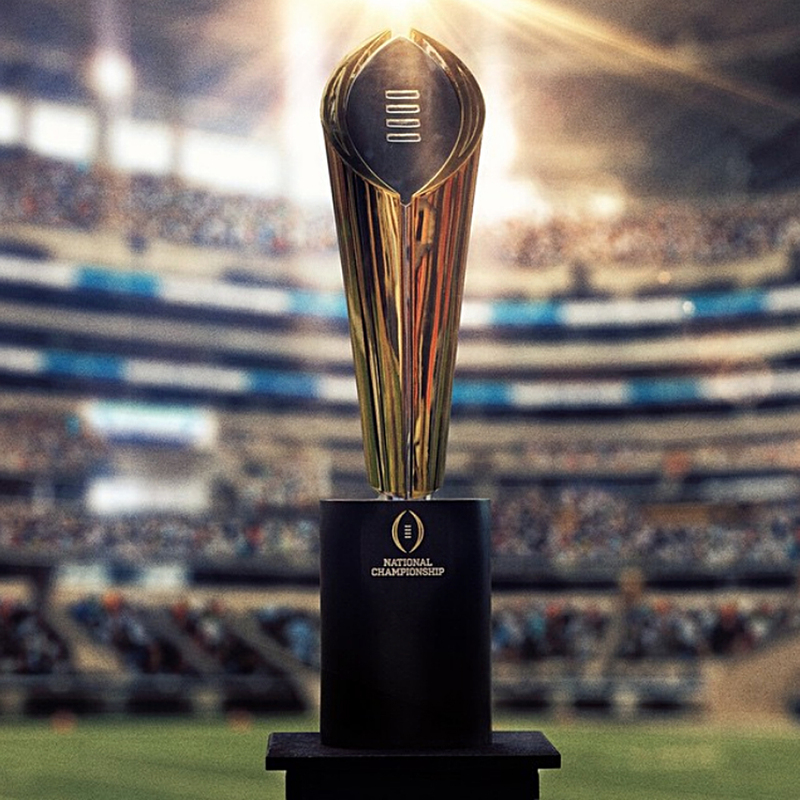 The biggest challenge was how to connect a diverse group of consumers from all ages, geos and levels of football expertise, across the country, in real time to the biggest sporting event in collegiate football history. 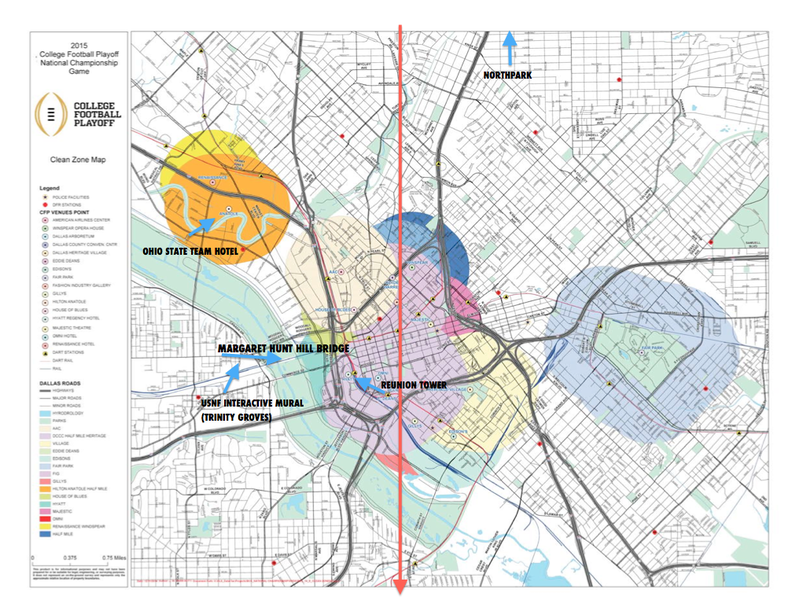 January 9th, 2:12 PM - World-renowned street artist Mark Paul Deren, aka Madsteez, begins work on a 30’ x 70’ interactive mural at Trinity Groves, located in the Dallas arts district. Through the combined use of Twitter and Wayin, we hold real time social polling to give fans of each team the opportunity to decide what will be painted next. Why a mural? Large-scale art pieces are disruptive and highly visible. The artists style and connection to street / youth culture was a great fit for our brand voice. By putting the brush into consumer hands through innovative social platforms, we could scale reach and engagement far beyond what would normally be considered a local activation. For the first round of voting, fans chose between an epic sketch of a Buckeye running back extending the stiff arm and the Duck QB leaping into action. Oregon narrowly wins, and the fun begins. Over the course of the next 100 hours, fans vote and Madsteez responds. He works frantically to keep up with the feedback, painting over 16 hours per day. Mark continued to paint through the final whistle, with the last strokes showing an Ohio State player raising a hand in victory wearing the celebratory championship licensed fan gear. By the conclusion of the execution, over 27K unique voters weigh in, casting 35K ballots for a 12.2% engagement rate on Twitter. Facebook category engagement records are shattered, with almost 60K likes, over 1,000 comments, and a 4.5% action rate. During the four weeks preceding the championship game, our Instagram follower count jumped by 80K, a 13% increase. The fan response was overwhelming. When visitors arriving at the Dallas airport ask taxi drivers to take them to the Nike Football mural they engaged with on IG, you’ve had success inspiring both social and real world action. To date, it was the largest social activation and engagement in category history—but we were just getting warmed up. January 11th, 7:15 PM - Energy and momentum are on our side, but we still need an Oreo moment—that perfect collision between creative and culture. The mural was ablaze but we needed more gas on the fire. So we fake it. 24-hours before the tailgating, national anthem and kickoff, we enter Dallas stadium with a lean crew: a small group of models, some confetti, a collection of soon-to-be released Championship licensed gear, an elaborate production goal, tight timelines, a never say no attitude and one very special commemorative coin that we had on loan for a total of ten 10 minutes. When your success hinges on what’s essentially real time production, the stakes are high but the results can be astounding. When we step on the turf, the paint on the field is barely dry. We quickly nail our staged shots for each outcome: coin toss, celebratory finger wags, product lay downs and the ever popular confetti angel. A quick turn in post, internal alignment, and we’re poised for lift-off. Our first post goes live as the coin leaves the ref’s hand. The day before, we captured a stunning image of this very moment. By the time the captain yells “heads” the collective football universe is in awe of the image. Some call PhotoShop trickery. Others point out the subtle differences in the jersey numbers. None of it matters. For the entire first half of the game, this image and Nike Football own the conversation. 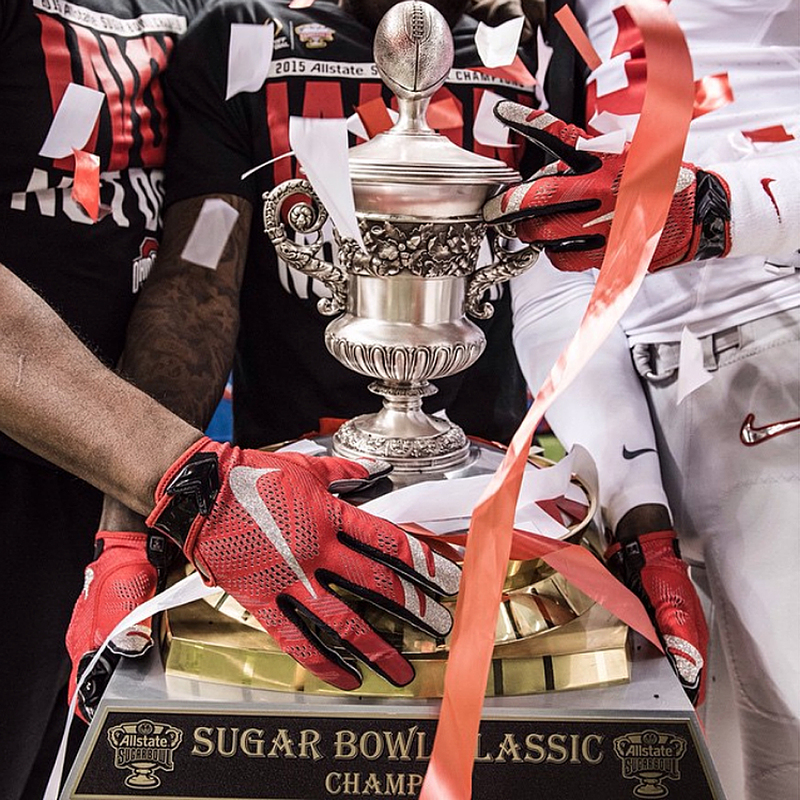 We’d successfully inserted the brand into the limelight during the biggest moment in college football history by being creative, timely and prepared. When Mashable, Deadspin, Fast Company, MadDash and countless others take note of your marketing efforts, you've cut through the static. It is safe to say Nike activation dominated the conversation surrounding the game. Between the coin flip and the mural, our content and dialogue won the moment. Our engagement led to a dramatic increase in licensed sales for both teams in the game. We took over a major cultural moment with Nike innovation led messaging. Dynamic, socially-driven activations made an unprecedented connection, both within and beyond our core community. @nike, @usnikefootball, retail brand partners, agency partners and the media team were in lockstep throughout—amplifying and reinforcing the brand position through seamless alignment. Over the championship weekend, @nike earned nearly a million user interactions while game-day support delivered nearly 4M paid impressions to our social communities. And when Ohio State won the historic title, our celebratory Tweet earned over 21K RTs—over three times the previous category record. 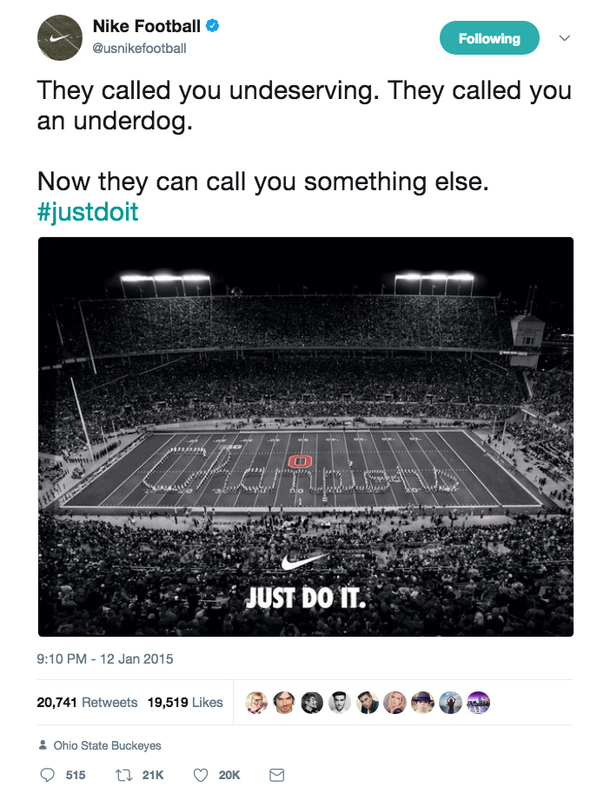 At the time, it was the most successful Tweet in Nike history.